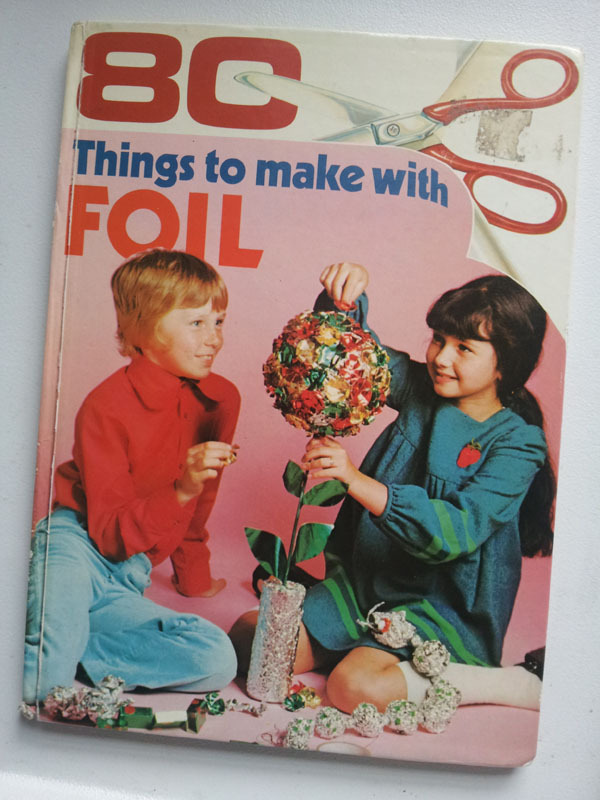 Not 100, not 75 but exactly "80 Things to Make with Foil" from 1974 has 80 things in it that can be made out of foil. Trains, Viking Longships and some pretty fetching glasses. I picked this up in a Charity shop over the weekend, I'm currently making the Moon Base on page 58.